Every good makeup artist will say that their tools (brushes) are so important and I feel the same. Good quality brushes for me are what makes my makeup sit better and look better. With so many options for brushes it’s hard to know which brands to choose but more important what does each brush actually do! I am going to give you the low down on my favourite Blank Canvas brushes and what I use them for. 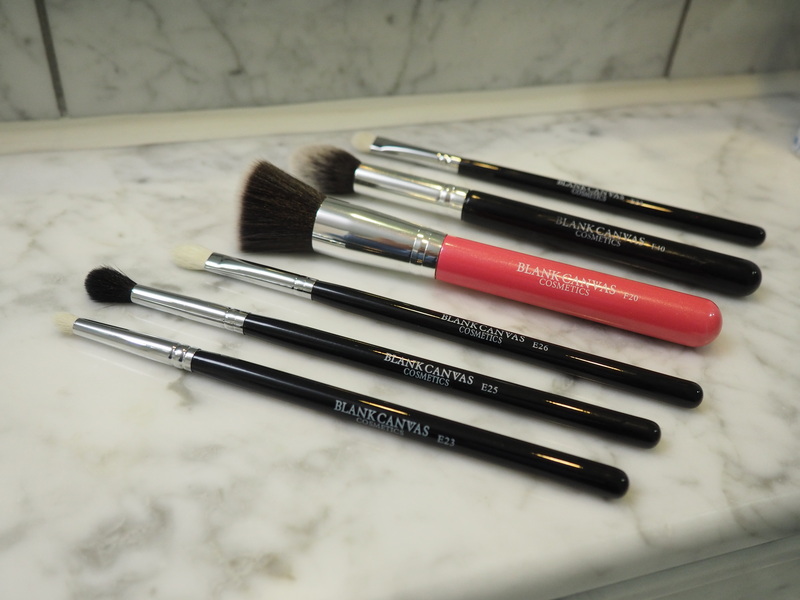 Lots of brushes can have multiple uses and it is worth your while investing in good brushes like Blank Canvas. My first makeup brushes were MAC brushes and I found that the hairs would fall out while applying my makeup. Incredibly frustrating as you can imagine. I have been using Blank Canvas Brushes for over a year now and don’t have this problem what so ever. 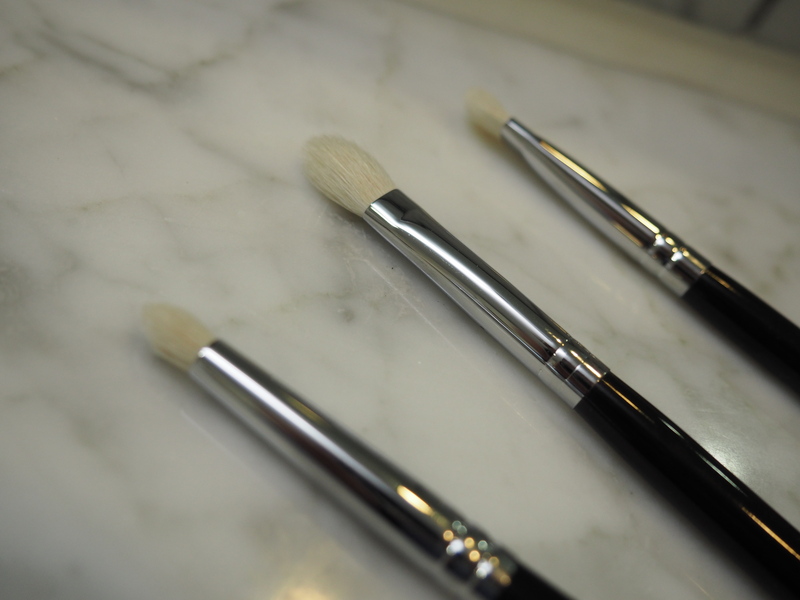 Blank Canvas F20 Foundation Brush €14.95: Their best selling brush and my favourite brush from Blank Canvas. I use this mainly as my foundation brush. It helps give a HD finish to your foundation. The F20 is made of short, dense synthetic fibres making it the perfect tool for liquid, cream or powder application (I prefer liquid). This brush will not disappoint and you foundation will sit so much nicer than ever before. If you need only one brush in your life then I recommend this one. 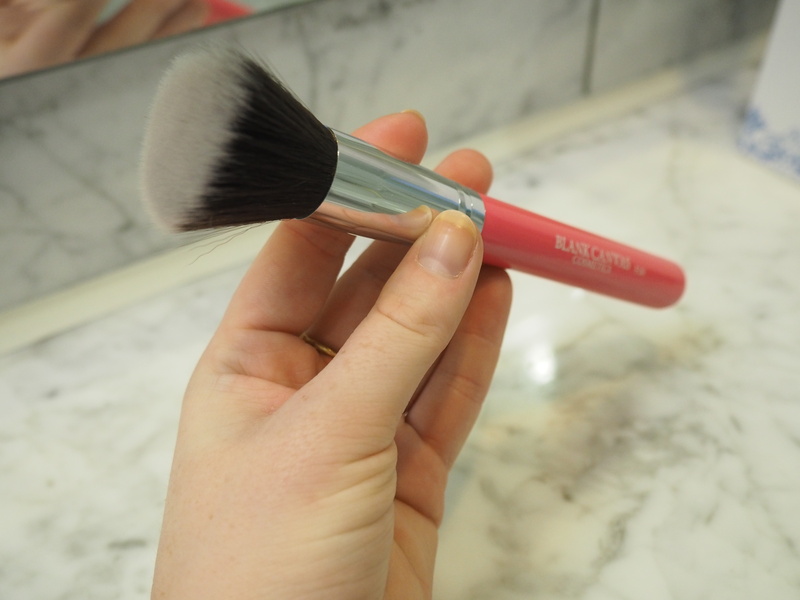 Blank Canvas F40 Contouring Brush €13.95: My second favouite brush from Blank Canvas. I thought I had lost this brush a few weeks ago and I was devastated. I could not contour properly without my F40, sad I know! It is slightly tapered which means you get a great angle for your contour and it won’t look to heavy. It enables you to shade or highlight your cheeks to a seamless finish. House is on fire, grab your F40 brush! Blank Canvas E25 Eye Shadow & Highlighter Brush €7.95: I use this brush for multiple uses, the first being used with a highlighter powder. I find as the E25 is soft and fluffy so it is perfect for applying highlighter on your face. I also use the E25 as a blending brush for eye shadow. I usually apply my eye shadow and then blend the product into the crease of my eye. This brush could be used as putting eye shadow all over the lid either, depending on the type of loo that you are going for. Another must have in my beauty bag. 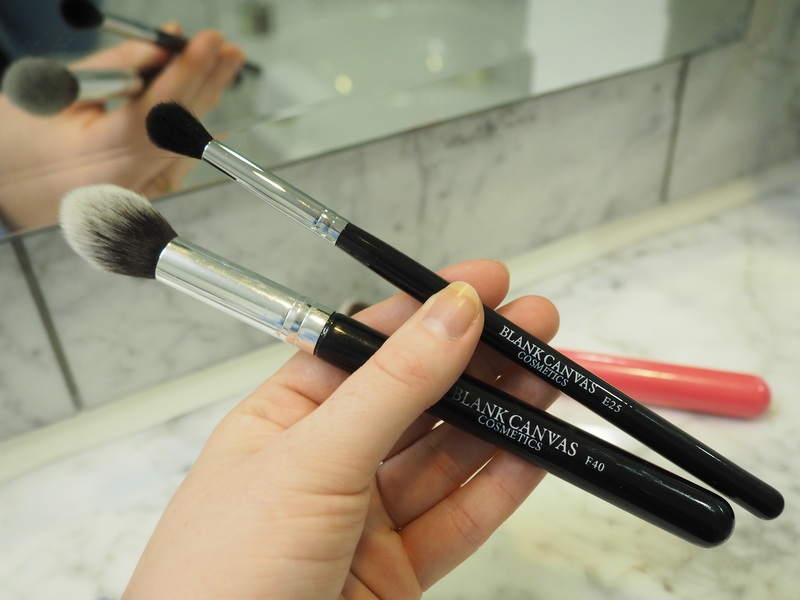 Blank Canvas E23 Eye Shadow Brush €7.95: I use this brush for two reasons. The first for when I want to wear eye shadow underneath my lower last line. The fibres on this brush make it stiff so it is perfect for using dark shadows. Because it is so dense and stiff the product applies heavily on your eye. Great for a dark smoky look. 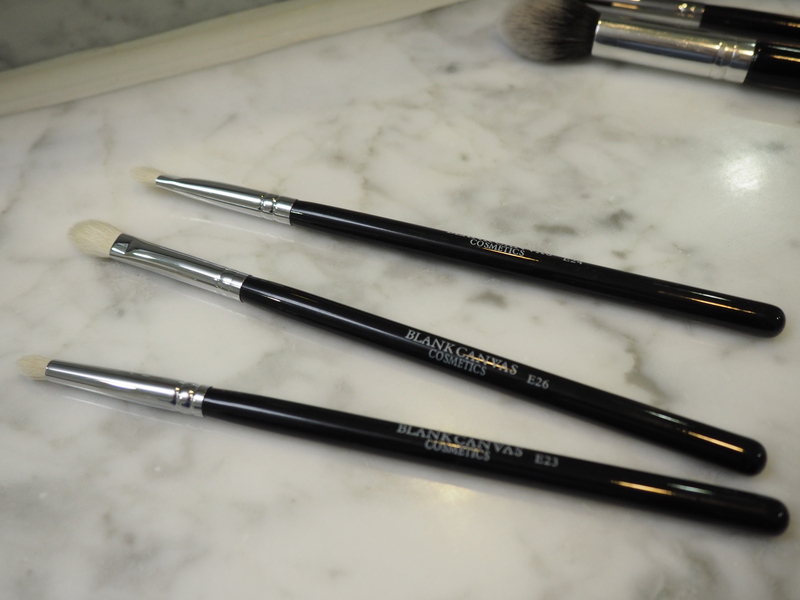 Another use for this brush is for a smoky eye on the lid. Use a cream shadow or gel liner pot and you can smudge on your lid. Perfect for a dark smoky look. Blank Canvas E26 Blending Brush €7.95: Concealer and blending is what this brush was made for. Apply your concealer an work it in with this brush. Blending your eye shadow on your lid or else simply use it as an all over eye shadow brush. Another must have in my beauty bag. Blank Canvas E24 Flat Shader €7.95: This brush is primarily for placement and laying down of eye shadow and cream on the face. Its fluffy rounded tip is perfect for placing and shading product whilst its medium firm paddle allows you to pick up product perfectly. They are my must have makeup brushes, hope you like them too. I always buy my Blank Canvas Brushes from www.cloud10beauty.com, their prices are so affordable and delivery is super fast too. 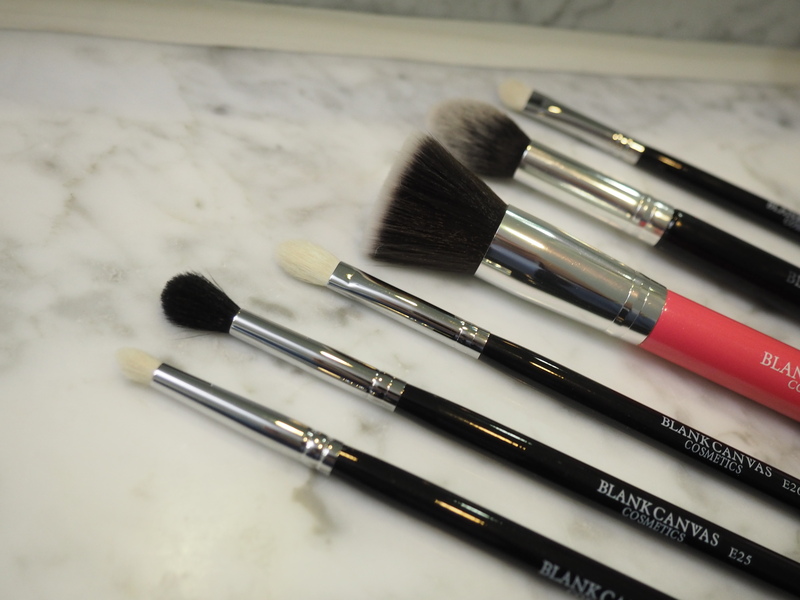 Which Blank Canvas Brushes are your favourite? Posted in Beauty, Makeup Brushes, Must Have ItemsTagged Blank Canvas, Blank Canvas Brushes, Blank Canvas Brushes Review, Brushes, Cloud10beauty, Guide to picking makeup brushes, makeup brushesBookmark the permalink.